There is a significant unmet need to improve the current low success rates of IVF treatments, resulting in savings amounting to billions of dollars. Current success rates are less than30% of all cycles. Fertigo is a medical device company set to transform In-Vitro Fertilization (IVF) treatment success rates through its proprietary technology which is able to determine the optimal uterine readiness for implantation through continuous real time in-vivo monitoring.There is a significant unmet need to improve the current low success rates of IVF treatments, resulting in savings amounting to billions of dollars. Currentsuccessratesarelessthan30% of all cycles. Thus, a technology that would increase these by only 5% is expected to become the standard of care. The average IVF success rate per treatment cycle is 29% (all ages) dropping sharply with age, reaching only 11% for women aged 41 – 42 yrs. Strategies to increase the IVF success rate are currently aimed at accurate endometrium thickness determination (e.g. 3D ultrasound). To provide information on the status of the endometrium prior to implantation, Fertigo has identified a unique path to access morphological parameters that are frequently used for interpreting the optimal endometrial cycle timing for implantation (aka “Endometrium dating”). 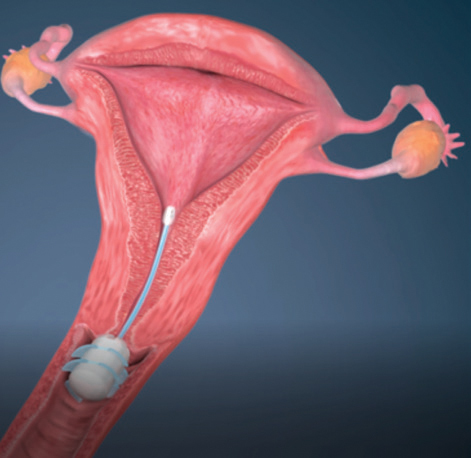 Utilizing a mini probe and camera placed at the lower end of the uterus (Figure 1), Fertigo’s device continuously collects these real time in-vivo endometrial parameters. The images are transmitted digitally to provide the physician with the optimal implantation timeframe. The device is then removed from the uterus prior to implantation. Fertigo’s process may also spare the unnecessary waste of frozen embryos. This first-of-its kind personalized medical device provides direct visualization and real time endometrial status assessment, unique to each individual patient. Fertility clinic success rates play a key role in driving individual patient selection in a fiercely competitive market. IVF treatments amount to 180,000 cycles per year in the USA and 500,000cycles per year in Europe. The summed TAM (Total Available Market) of North America and Europe is $7.0billion. An increase of 50% in the cycles’ success rate translates to $3.5billion and an increase of merely 5% translates to $350million annually. Fertigo is currently seeking $2.0millionSeriesAfunding to primarily continue the clinical trial program as well as extending its IP and completing the prototype design. As of today, the company has secured $500,000 from an Israeli based fund and $500,000 non-dilutive grant from the Israeli Innovation Authority, subject to milestone achievements, with a potential similar grant in 2020. IP (Intellectual Property) portfolio established, including one patent in national phase (9 territories). Experience: Deputy CEO of Medigus (TASE, NASDAQ: MDGS); led successful FDA processes in several companies. Experience: Senior IVF expert at Kaplan Medical Center; Head of Gynecology Program for MDs at the Hebrew University. Experience: 25 years in medical devices (CEO, COO & CFO, MOB). Led over $250M funding, $750M in sales and M&A transactions.